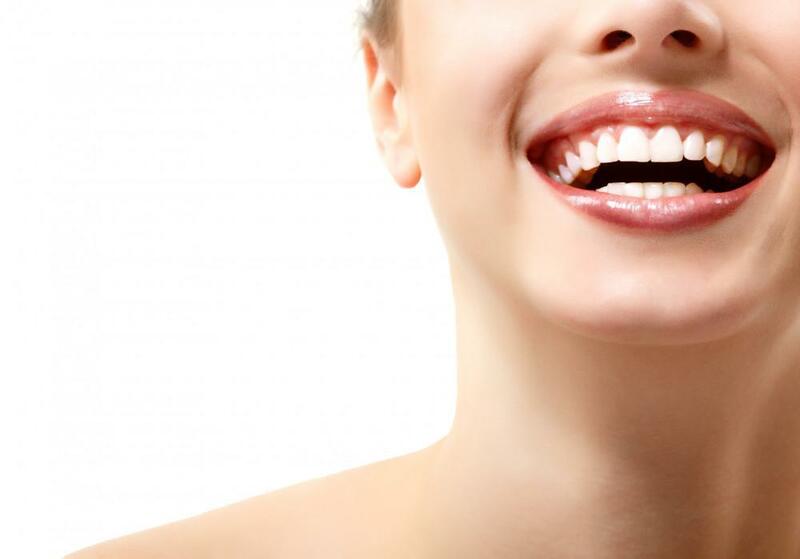 There’s no doubt that a straight smile can boost your self-confidence and make it easier to show off your pearly whites. 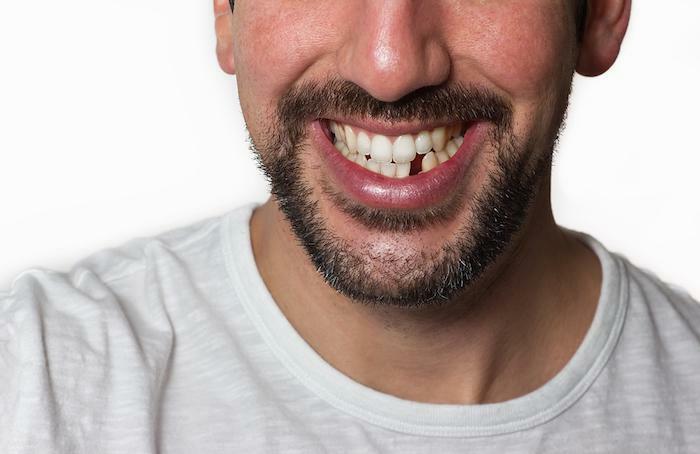 You may be surprised to learn that straighter teeth also help keep your gums fit and improve your overall oral health. Before Invisalign® your only treatment option for straightening significantly misaligned teeth was a mouthful of wires and brackets that were highly visible and limited your food choices for years. 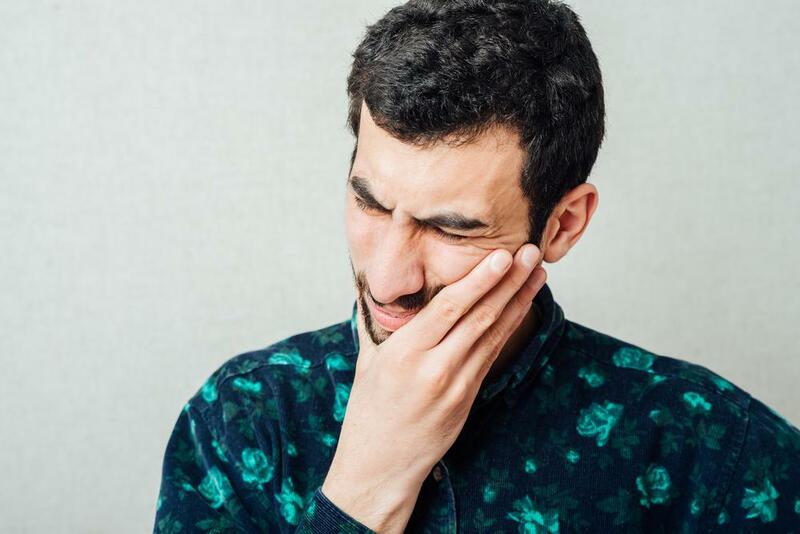 Don’t forget about the painful abrasions that can occur when those wires encounter your gums and the sensitive tissue of your inner cheeks and lips. At Floss Dental, Smita Rewari, DDS is an Invisalign specialist who has seen its many benefits firsthand in her busy practice. Learn what you can expect from the process and why she often recommends Invisalign as an effective and cosmetically pleasing alternative to traditional braces for older teens and adults. The Invisalign treatment plan requires you to wear a series of clear, removable aligners that gradually straighten your teeth. There are no brackets or wires to get used to, or try to hide, and none of the food restrictions that come with metal braces. 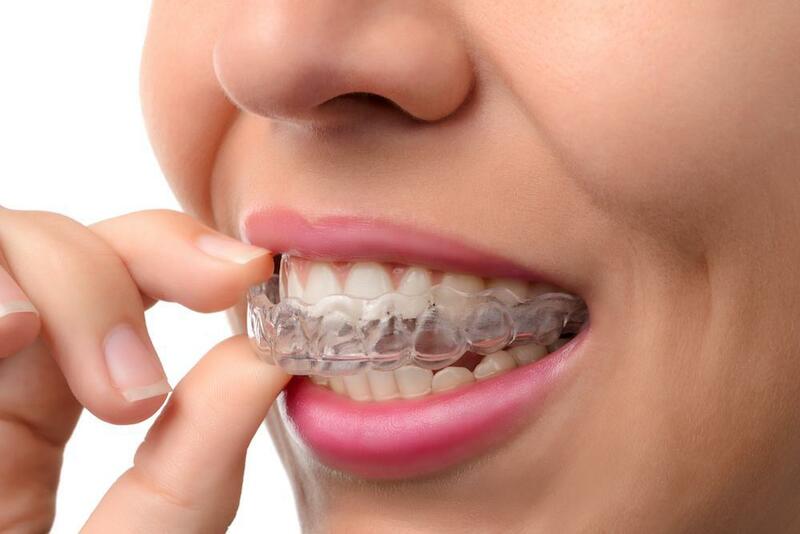 The clear aligners are made of a patented and flexible, but strong thermoplastic that’s FDA-approved and contains no BPA, BPS, latex, or gluten. Because they’re digitally formatted to fit snugly over your teeth, they’re essentially invisible once in place. Many of our patients consider this the main benefit of the Invisalign system compared to traditional braces. Unlike traditional braces, Invisalign aligners are easily removed, and in fact, you must remove them for routine meals and snacks. We ask that you wear them about 22 hours a day for full results, but you’re free to take them off when attending a special social or work event. Just brush and floss before you slip them back on to prevent stains from marring the surfaces of your teeth or the aligners. Come in for an initial consult with Dr. Rewari. During this appointment, the doctor will discuss your goals, expectations, other factors pertinent to your specific needs, and the Invisalign process. 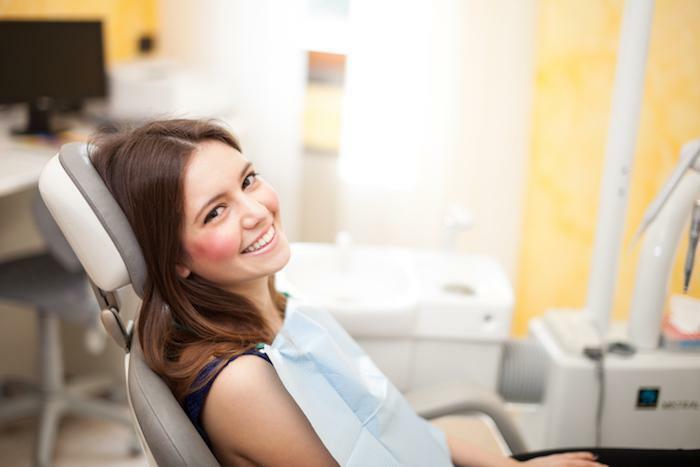 She may recommend you schedule a thorough dental exam and cleaning before you begin Invisalign treatment. This helps ensure your teeth and gums are in good health before beginning the process. Sit for a digital scan. Dr. Rewari will complete a digital scan of your teeth and use specially designed software to create customized templates of the series of aligners you’ll need over the course of your treatment. Each template varies slightly in tooth positioning. This part of the process also gives you a look at how your tooth alignment will change over the coming months and the final smile the doctor expects from the treatment. Wait a bit for the creation and delivery of your custom aligners. The results of your digital scan are sent to a lab where experienced technicians create your aligners. Each set is designed to follow the step-by-step repositioning outlined in the digital scan and Dr. Rewari’s treatment strategy. Return for your aligners and start the process. 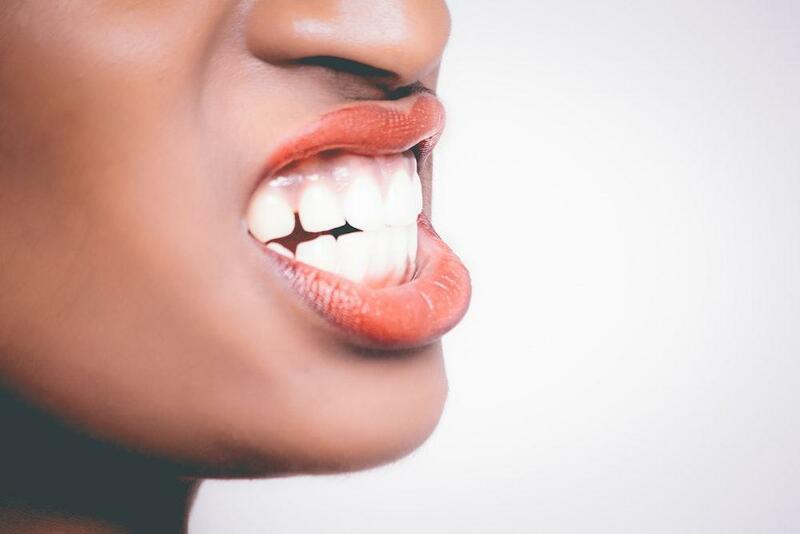 Once your aligners have arrived at Floss Dental, Dr. Rewari will see you and provide specific instructions about wearing the aligners and how to care for them. She’ll make sure the first set is comfortable, fits as expected, and give you plenty of time to ask questions. Wear the aligners as directed, and return for scheduled follow-up visits. For best results, wear your aligners about 22 hours a day, and brush, floss, and clean your aligners as directed. Each set is designed to shift your teeth into better alignment, and you can expect to wear each for about two weeks before switching to the next set in the series. Dr. Rewari will see you back in the office periodically to check your progress. For more information about how Invisalign can straighten your smile without the discomfort and high visibility of traditional wire braces, schedule an appointment at Floss Dental today.